Wash the meat under cold water and cut it in small cubes. 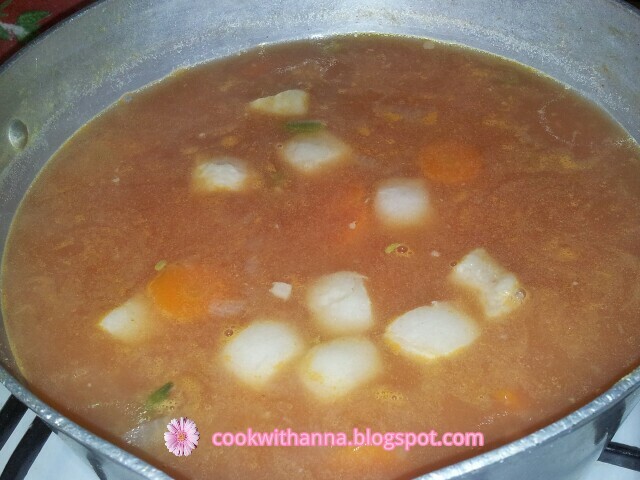 Put it to boil in some water with a pinch of salt. 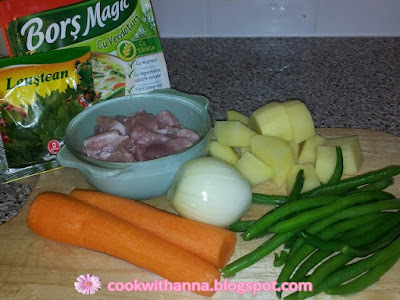 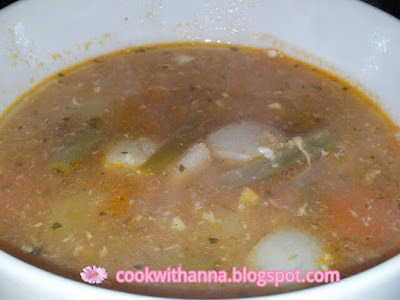 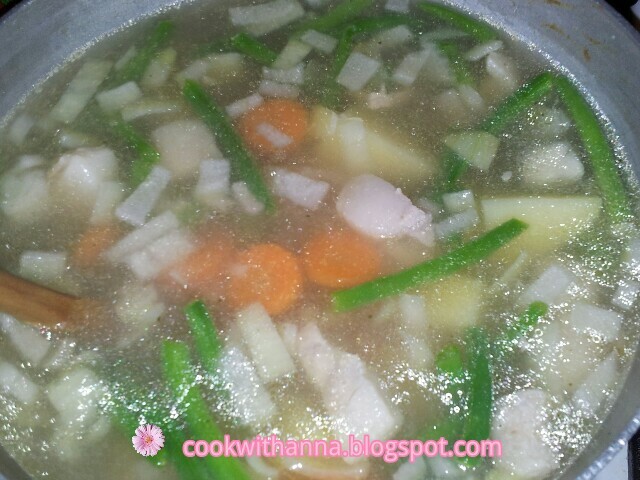 When the meat is half boiled add the chopped onion, potato cut in cubes, carrot cut into slices and the green beans. Add he tomato paste when the meat and vegetables are boiled. 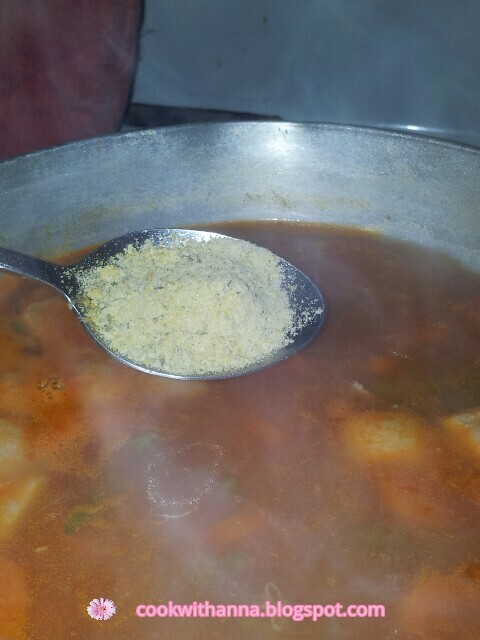 Leave to boil for another 10 minutes then add the bosrch. 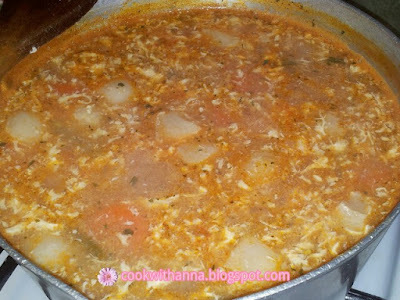 In a separate bowl beat the egg, add some of the boiled soup and mix them together then pour it in the pot. 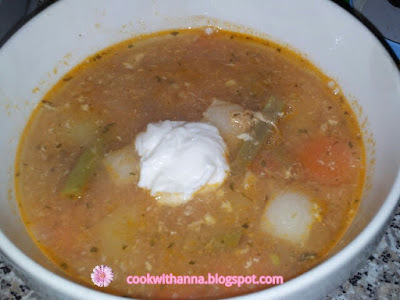 Serve with a tbsp of sour cream and chillies.